with special guest vocalists Joe Ely, Beth Nielsen Chapman, and Joe Sears of Greater Tuna fame! 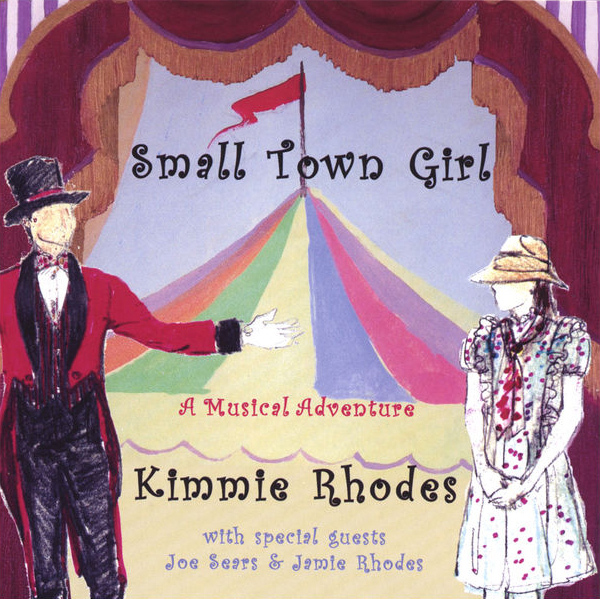 One morning in the summer of 1996 I walked into my writing room and sat down at my desk intending to write an autobiographically bent song called “Small Town Girl”. Three weeks later, to my surprise, I held in my hands the script to a play and seventeen songs, a musical fairy tale based on my version of reality as a child and a hidden desire to right my world. This soundtrack collection is a musical journey begun many years ago with Joe Gracey, using a four track tape machine, recording me and some friends gathered around my dining room table. A few years later we cut more songs at Pedernales Recording Studio and also at Jack “Cowboy” Clement’s studio in Nashville while we were doing the sessions for my “West Texas Heaven” CD. Recently, with the help of Gabe Rhodes, we finished recording the last of the tracks here in Austin in our home studio, Sunbird Music. It is the liberty of an artist to control through the medium things we could never otherwise change and a stunning and humbling experience for a small town girl to witness a stage flooded with colorful lights and graced with actors and musicians in glittery costumes bringing to life a happy ending. My most heartfelt thanks to Joe Sears for showing me the way and to all my friends and family who were willing to come and play along.